There are a lot of Tucson Real Estate Agents in Tucson. Would you believe almost 6,000. There may be more real estate agents in Tucson than Saguaros in the desert. However, NOT ALL real estate agents are alike. 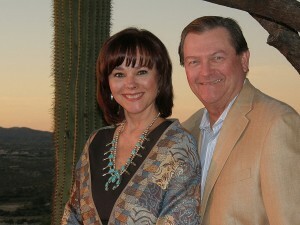 We are a Tucson Realtor Team that started in 2002. We are full time Realtors working every day with home buyers and sellers. Solid Tucson Real Estate experience. Yes! But our backgrounds and experience before becoming Realtors makes us even better. Why? Simple. Our educational backgrounds and business experience separate us from other Realtors in Tucson. But first, understand what the requirements are to be a licensed Realtor in Arizona. Are 20 years as a Tucson Real Estate Agent really 20 years of “experience” OR just 1 year in real estate 20 times? Would 50 years+ of Professional business experience AND Tucson Realtor expertise be “better”? If you believe it is, give us a call to discuss how we will work with you before selecting your Realtor. Buying A Home In Tucson, AZ? Our website provides information on communities and neighborhoods in the greater Tucson area. Want more? We are ready to answer your questions and help you get the information you are looking for. Contact Ben & Kim for a FREE Home Comparative Market Analysis (CMA) or to get an answer to your Questions. Give us a call 520-940-4541 OR complete the CMA Request OR CONTACT FORM.